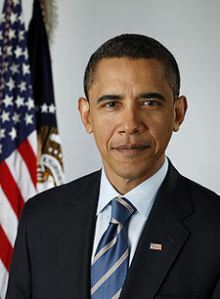 We have previously discussed how President Obama has repeatedly yielded to the “copyright hawks” who have steadily increased the penalties for copyright and trademark violations, including criminal penalties. Despite the abuse of average citizens by thuggish law firms and prosecutors, the Obama Administration continues to support draconian measures against citizens. Even after the abuse and death of Aaron Swartz by the Justice Department, the Obama Administration has decided to double down in a case of a young mother in Northern Minnesota who was hit with grotesque penalties for simply sharing 24 songs. She was told to pay $222,000 — over 100 times the actual damages for the songs. The Obama Administration has intervened before the Supreme Court to ask for it to allow the penalty to stand as lawful and correct. The Administration has joined these companies in pummeling Jammie Thomas-Rasset for sharing music through the peer-to-peer network Kazaa. She has been fighting for years and put through two trials. Huge awards were thrown out by the court but the industry continued to make her an example by ruining her. Last year, the Eighth Circuit Court of Appeals upheld the $222,000 award. Rather than agree that such penalties are outrageous and seek the protection of average citizens in the courts or in Congress, the Obama Administration has done precisely what is demanded by industry lobbyists and lawyers. What is striking is that these damages are not treated as punitive but statutory damages. The Supreme Court has previously struck down the awarding of punitive damages to citizens suing companies as unconstitutional. These cases like Gore v. BMW involved punitive damages greater than a 10 to 1 ratio to compensatory damages. They were found to run afoul of due process. In the Gore decision, the court wrote that “the most important indicium of the reasonableness of a punitive damages award is the degree of reprehensibility of the defendant’s conduct.” Gore, 517 U.S. at 575, 116 S.Ct. at 1599. “This principle reflects the accepted view that some wrongs are more blameworthy than others.” Id. The Obama Administration clearly does not believe that standard applies to people like Thomas-Rasset or Swartz. It precisely sided with the companies in the case and said the award was not excessive. While judges have decried these penalties as absurd, the White House continues to argue for the penalties to be enforced. The question is whether this Supreme Court will feel as much sympathy toward individual citizens in statutory penalty cases as did has repeatedly for companies in punitive damage cases. The Obama Administration argued that awards can be disproportionate but that this is not such an award. It felt that the case really speaks to the poor company lawyers and shareholders who are put at an unfair disadvantage by citizens like Thomas-Rasset: “The public interest cannot be realized if the inherent difficulty of proving actual damages leaves the copyright holder without an effective remedy for infringement.” Without an effective remedy? The portrayal of these companies as helpless victims is a bit much . . . but not too much for the White House. weblog’s articles evегyday along with a mmuǥ of coffee. Your tense is wrong, it should be “had,” not, “have.” Recovered very little, but I’m a bad businessman as I loved the process much more than the counting. The value of instruments, mics, and such don’t reflect what I paid, but unexpected (and crazy) appreciation over the last four decades. I couldn’t touch any of this gear today. Wow, that’s all one needs, just some AWS, button punching, and coordination of music instrument channels? I’ll definitely have to check that out. But hey, when 2,000 people think it would be interesting to pool $0.01 apiece, buy a CD, make 2,000 copies and call it “fair-use,” why should I?